Architectural Shop Counter / Island Unit. 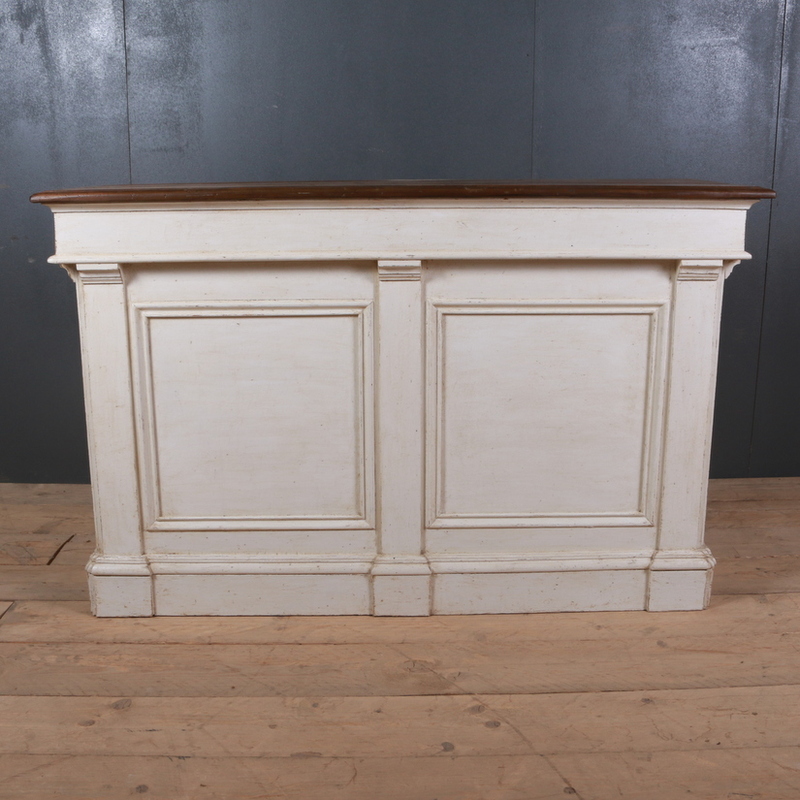 Arcadia Antiques, UK stocks a wide variety of counters and island units that can be used in a number of different ways. There are a variety of pieces from different places with rustic designs and in various shapes and sizes. These pieces are such that they can be used in a number of different places. 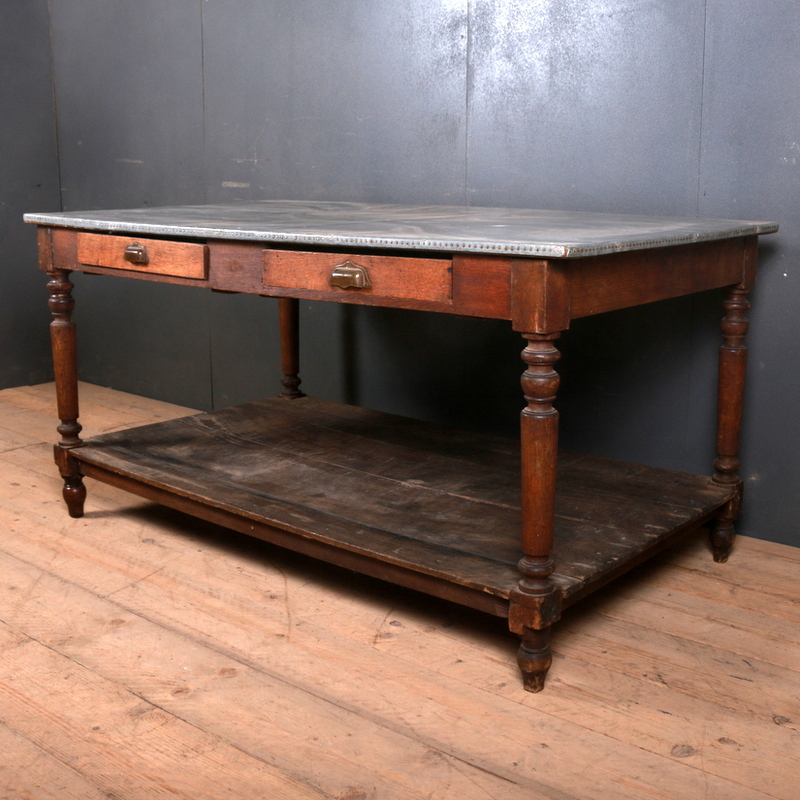 Our collection includes a wide variety of unusual antique kitchen furniture, antique counters, antique bar counters, antique shop counters, antique island units, antique painted furniture and French antique furniture etc. The unusual free standing painted island unit with a folding sycamore top is a great piece that features a 30 inch extendable top. This piece offers great utility as it can provide you with that extra storage space and also works well as a kitchen table or dining surface. There are a few good Victorian and French pieces in the collection. 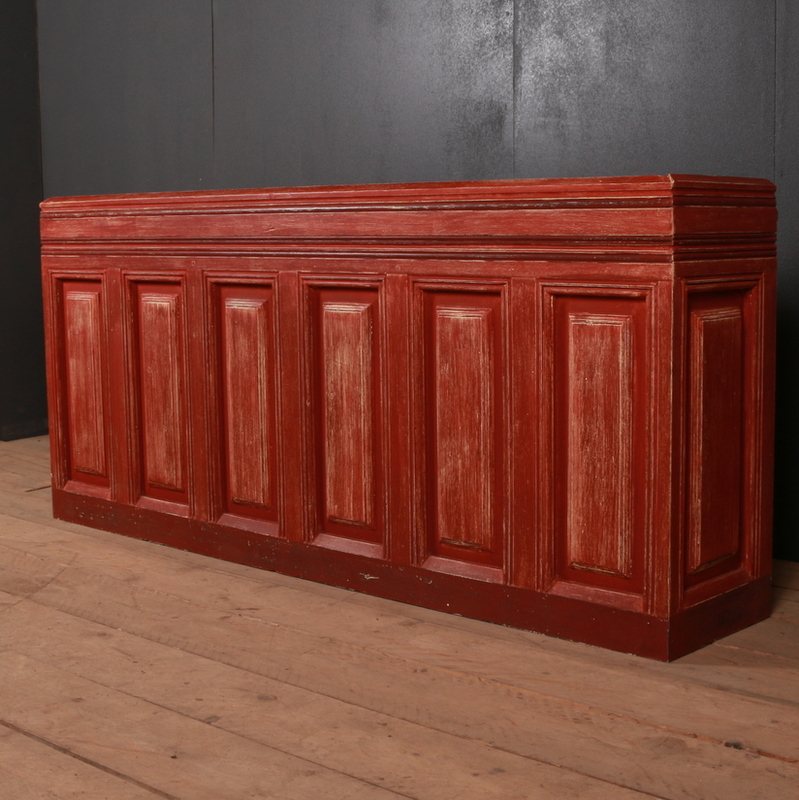 One such unusual piece is an unusual French bowed store counter which can also be used as a bar counter. This counter features a different design with 8 high rails around the top. This counter also has a good storage capacity. The other items include a Zinc Topped Island Unit, Painted island units and servers, custom built counters and island units etc. Most of these counters are perfect pieces if you want to add some functionality to your kitchen without compromising on the available space.